Inti Creates confirmed earlier today that Blaster Master Zero has sold 80,000 copies on Switch. As it turns out, other sales data was shared as well. 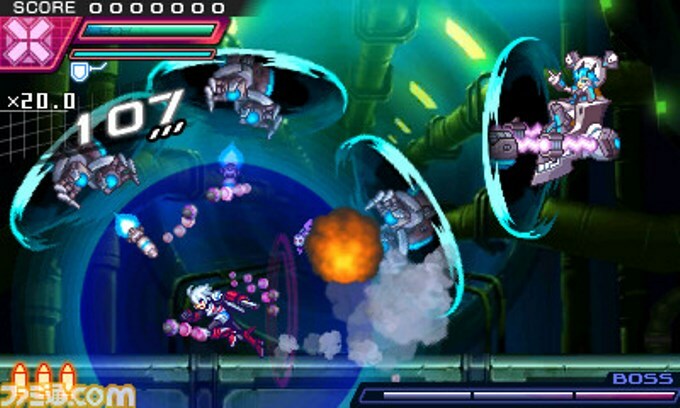 Azure Striker Gunvolt, Inti Creates’ first game for 3DS, has sold 180,000 copies. The company also confirmed the sales of the sequel are at 38,000 units. Both of these figures are based on worldwide sales on the eShop as of May 1. 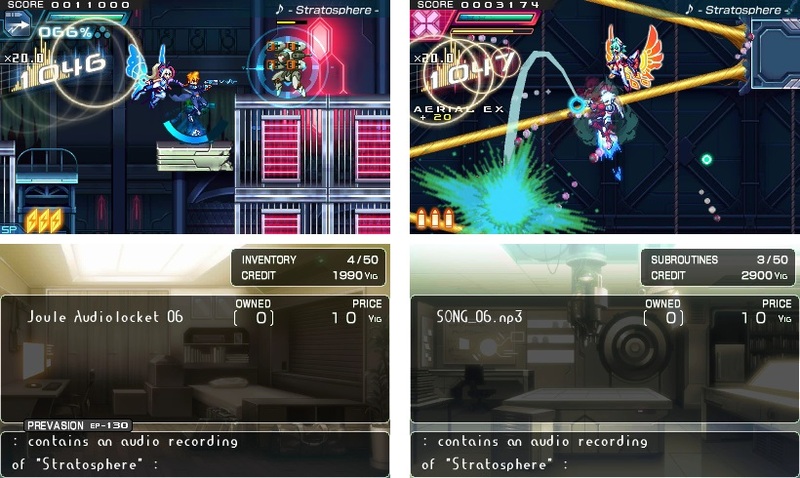 With Azure Striker Gunvolt 2’s DLC having been released in the west this month, footage of the content is spreading online. Several videos showing what’s new are posted below. 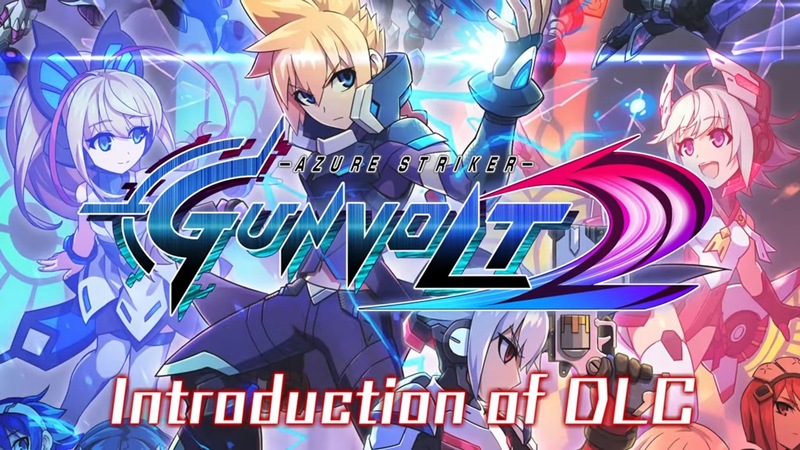 Azure Striker Gunvolt 2 recently received some new DLC, and an English trailer from Inti Creates explains and shows the new content in detail. Check it out below. 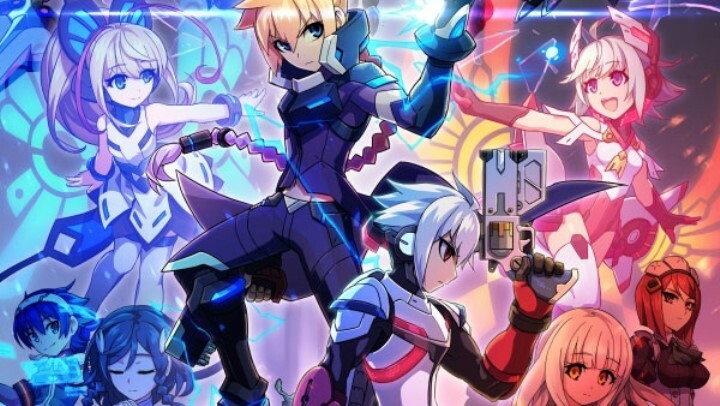 Azure Striker Gunvolt 2 players in the west won’t have to wait much longer for the game’s DLC. Inti Creates confirmed today that all of the new content is slated for Thursday in both North America and Europe. 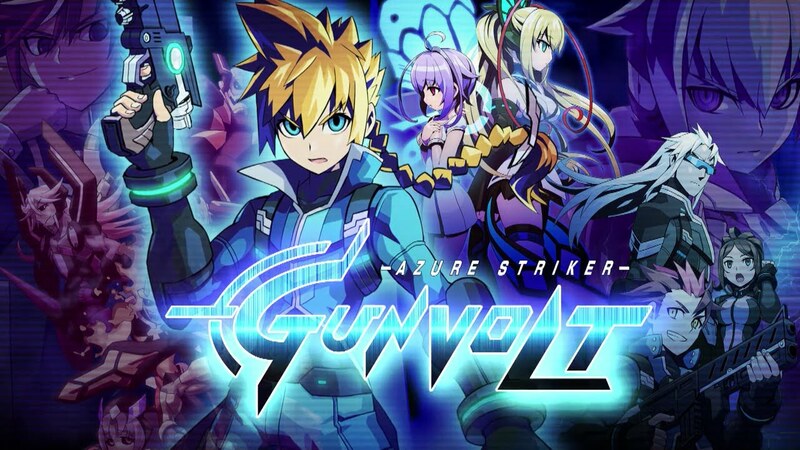 Continue on below for all of the information about Azure Striker Gunvolt 2’s DLC. That includes prices for the individual content. New DLC for Azure Striker Gunvolt 2 came out in Japan last month. While we wait for the western release, take a look at some footage of the content below. Azure Striker Gunvolt 2 received DLC in Japan this week. It’s planned for North America and Europe as well. In a blog post, Inti Creates said it’s targeting January for Azure Striker Gunvolt 2’s DLC. A demo was also supposed to go live in North America on Thursday, but it wasn’t mentioned in the official Nintendo Download announcement. I’m also not seeing anything on the eShop itself, so there must have been some sort of miscommunication. In any case, Azure Striker Gunvolt’s 2 demo should be out sometime in January. 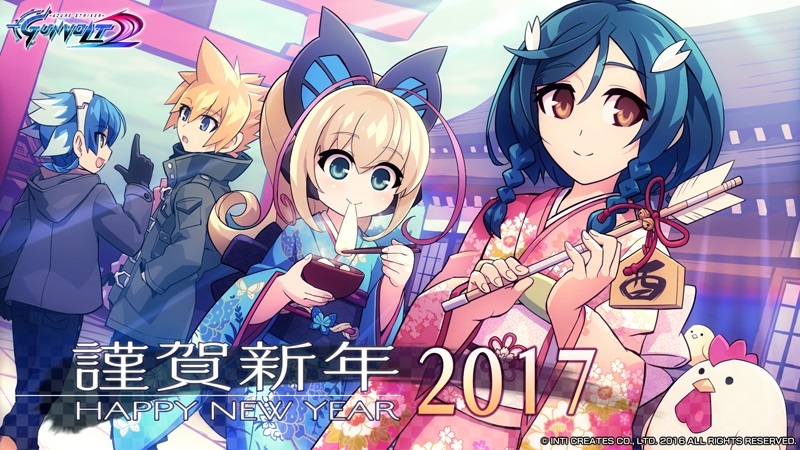 Lastly, the Azure Striker Gunvolt New Year’s wallpaper pictured above can be downloaded here. Just before the end of 2016, Azure Striker Gunvolt 2’s DLC has launched in Japan. Players can purchase a variety of new content for the title. Azure Striker Gunvolt and Azure Striker Gunvolt 2 will be half off on the Japanese 3DS eShop between January 1 and January 10. You can access a New Year’s wallpaper here. 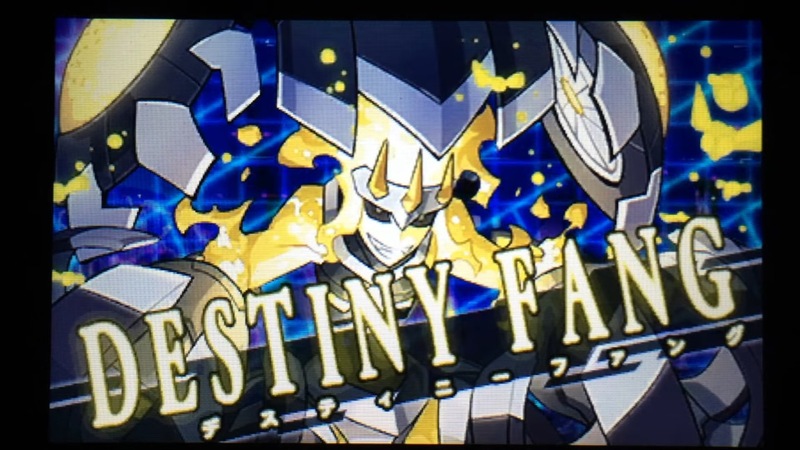 During its 20th Anniversary Fan Festa event today, Inti Creates shared new information pertaining to Azure Striker Gunvolt 2. We now have confirmation that DLC is in the works. The Additional Mission Pack consists of special missions taking place in new high-difficulty maps and has members of “The Seven” appearing as bosses. The first pack will consist of Merak and Carrera. A release date and price will be announced at a later date. Nintendo Everything recently caught up with Inti Creates for a chat about the Azure Striker Gunvolt franchise. We sent some questions to director Yoshihisa Tsuda and producer Takuya Aizu. During our discussion, we talked about Azure Striker Gunvolt’s origins, scrapped ideas from the sequel, and the series’ we future. We even snuck in some questions about a potential amiibo and the anime OVA. Continue on below for our full interview with Tsuda and Aizu. 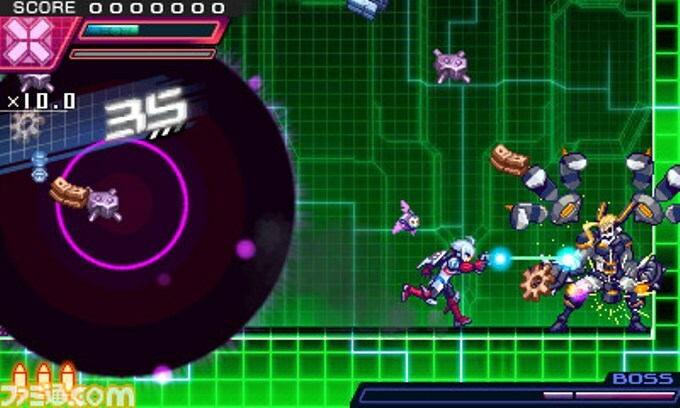 Inti Creates has made two Azure Striker Gunvolt titles thus far. Speaking with Nintendo Everything, the studio revealed that the team is very much interested in continuing the series. 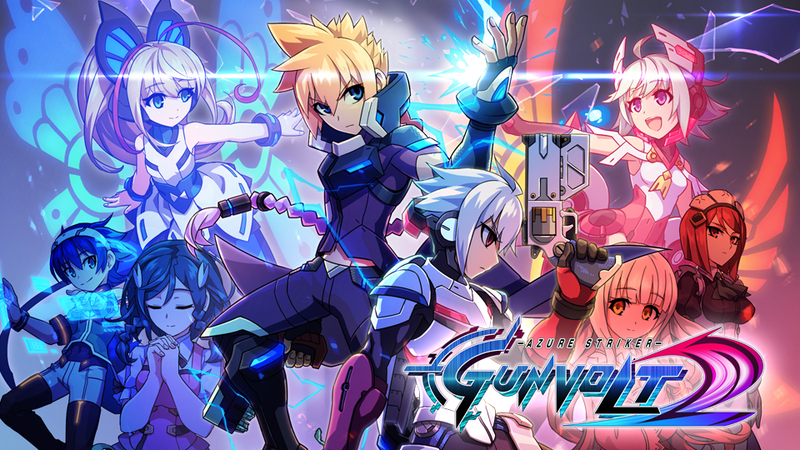 Director Yoshihisa Tsuda told us that he very much wants to make a title “that continues the series with Gunvolt at the helm as the main protagonist.” It’s something he believes can happen so long as the fan support is there. He also has “a rough idea for what I would want the potential sequel to be”.